It’s a well established fact that backing a crowdfunded campaign is like playing with fire. Unfortunately for backers everywhere, however, there’s yet another roadblock in the way of getting that cash back: PayPal has is taking away its purchase protection for crowdfunded payments. 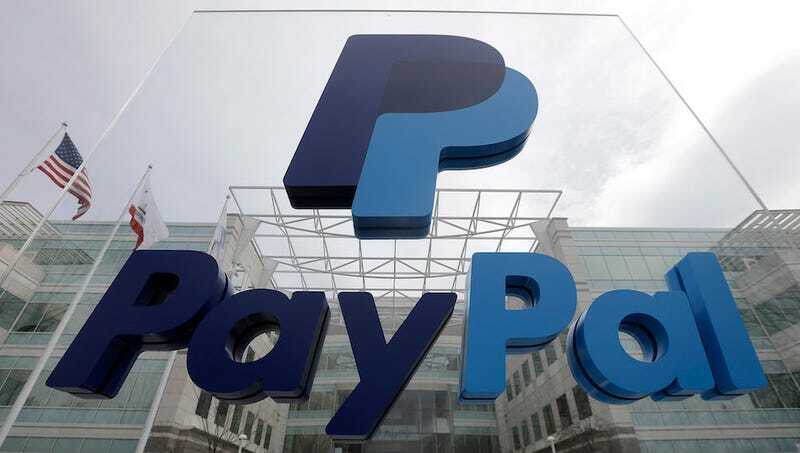 The company made note of the new policy in a post outlining updates to its list of “ineligible items.” Other things no longer under PayPal protection include items “purchased from or an amount paid to a government agency” and gambling. In Australia, Brazil, Canada, Japan, United States and certain other countries, we have excluded payments made to crowdfunding campaigns from our buyer protection programs. This is consistent with the risks and uncertainties involved in contributing to crowdfunding campaigns, which do not guarantee a return for the investment made in these types of campaigns. We work with our crowdfunding platform partners to encourage fundraisers to communicate the risks involved in investing in their campaign to donors. Still, PayPal is pretty unequivocal about its position: crowdfunding is risky as hell, and it doesn’t want to be liable for the decisions anymore. Given that even Kickstarter knows crowdfunding sometimes doesn’t work out, it makes sense that PayPal has finally caught up. We’ve reached out to Kickstarter and Indiegogo for comment, and we’ll update if we hear back.